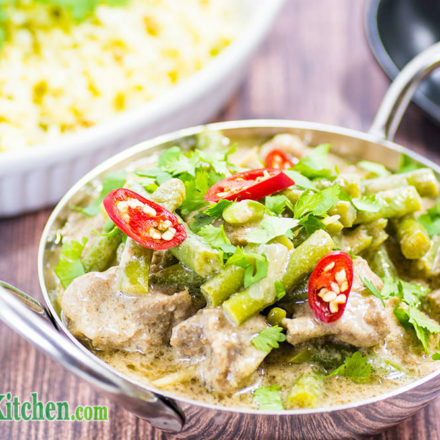 Our Thai Style Keto Pork Curry in coconut is a beautifully fragrant and mildly spicy dinner dish. Curry can be the ideal keto meal when made from scratch, but be aware when eating out as most Thai curry sauces contain palm sugar. Store bought curry pastes are also an area to be wary, as they tend to be high in carbs – containing sugar and preservatives. This delicious keto pork curry goes really well with our Lime & Cilantro Cauliflower Rice, as well as our Coconut Cauliflower Rice. If you love curry, be sure to try our Keto Pork Vindaloo or even our Indian Egg Curry. 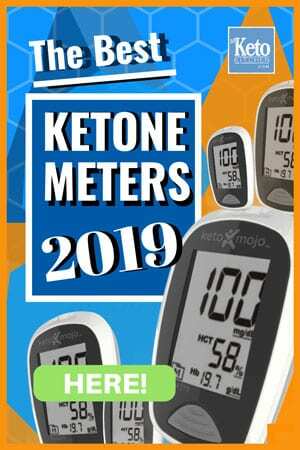 The keto pork recipe makes 6 serves. Place the diced pork into a mixing bowl and add the cumin, coriander, cinnamon and chili powder. Mix well and allow the pork to marinate for at least 2 hours, or overnight for best results. Place a large saucepan over medium heat and add the coconut oil, onion, garlic and ginger. Saute for 5 minutes until fragrant. Add the marinated pork and cook for 5-7 minutes until evenly colored. Pour over the coconut cream and bring to a simmer. Simmer for 60-80 minutes, until the pork is tender. Add the lime juice, salt and green beans and cook for another 5 minutes. 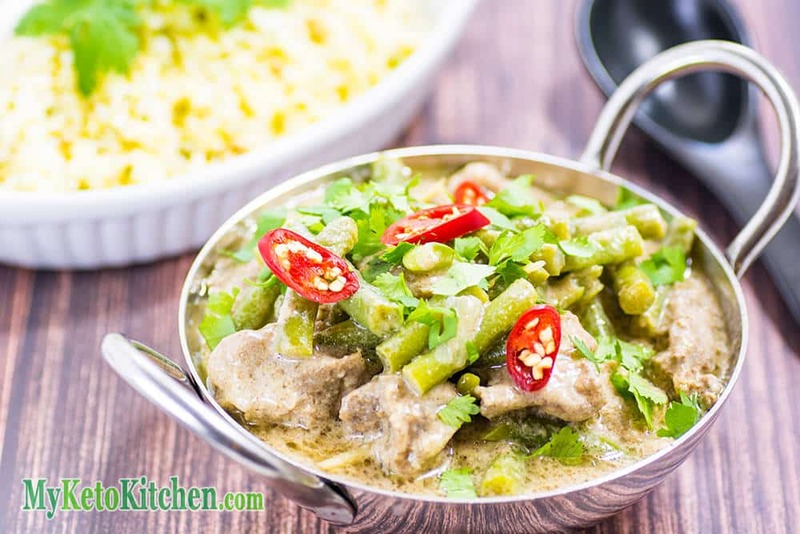 Our Keto Pork Coconut Curry is a beautifully fragrant and mildly spicy dish. Why not make life easier by making a big batch and freezing portions for quick and easy meals. 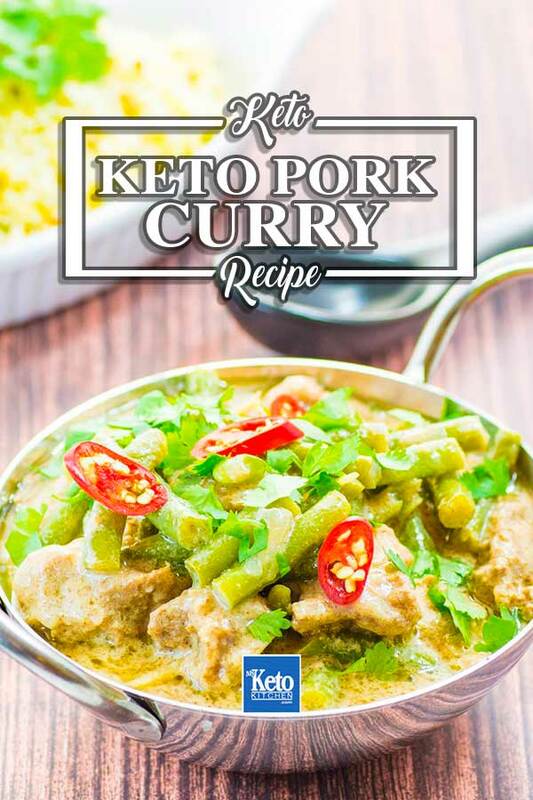 To make a larger batch of this keto pork curry recipe adjust the serving amounts above.